Customers have their choice of items from any store in their city and couriers bid to run the errand for a certain price, which shoppers can accept or reject. Typing out your order on Mrsool is only the start of what’s made the Saudi delivery app more popular in the kingdom than Uber and Facebook. The experience that follows recreates the bargaining of a traditional market. Once the customer picks out items from a store or restaurant, couriers bid to run the errand, offering a delivery price within a certain range, which shoppers can reject if they find the quotes too expensive. The back-and-forth can continue as the courier buys and delivers the order, chatting and sharing photographs or voice notes. “People like to conduct business by conversing with others,” said Abdulrahman Tarabzouni, chief executive officer of STV, a $500 million venture capital fund anchored by Saudi Telecom that recently took part in Mrsool’s first funding round. Created in 2015, Mrsool tapped into the quirks of the Saudi market while the economy went through a major transformation. Although the private sector has struggled to adapt to Crown Prince Mohammed bin Salman’s sweeping efforts to wean the kingdom off oil, e-commerce has taken off in a country addicted to smartphones as buying habits change and consumers increasingly look for deals online. Meanwhile, as Saudis rethink their household budgets after policy changes like a value-added tax and cuts to energy subsidies, more people are looking to earn extra cash in their spare time by working as drivers or couriers. But it’s the personal touch Mrsool brought to the business of mobile retail that powered its swift rise, with 4 million registered users, 150,000 couriers and $270 million of transactions processed last year alone. Apple’s App Store ranks it among Saudi Arabia’s 30 most popular downloads, several notches above Facebook and Uber. A takeaway competitor like Uber Eats, which isn’t even in the top 100, offers a more impersonal interface in which customers order food by checking items off a menu. 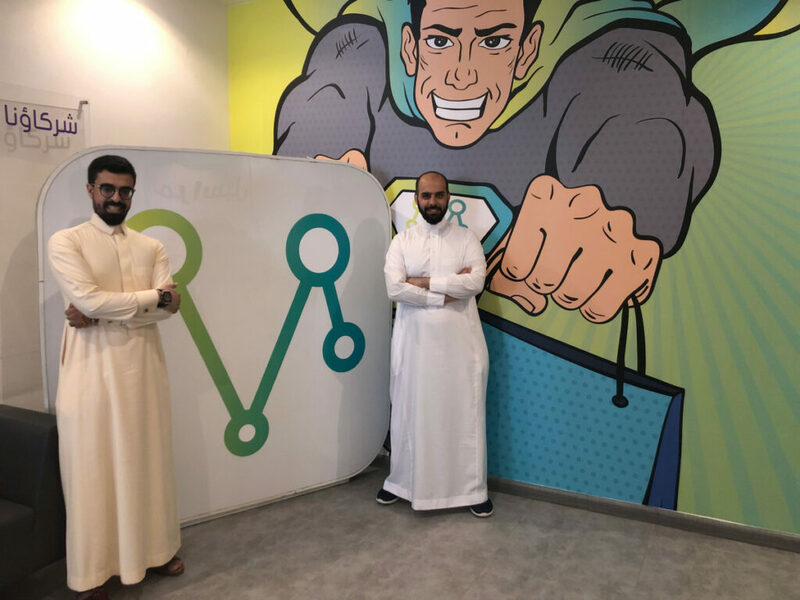 Mrsool’s under-40 founders, Ayman Alsanad and Naif AlSamri, recently completed a multimillion-dollar fundraising, getting cash from STV as well as local firm Raed Ventures and Saudi investor Mazen Al-Jubeir. In an interview in the startup’s office in Riyadh Alsanad said he wants customers to see the couriers akin to a brother who comes to their rescue. It’s a role particularly suited to a country where women were banned from driving until last year, and most still don’t have licenses. Alsanad recalled using Mrsool to deliver baby formula to his wife. More than half of orders are food, but there’s also demand for delivery of groceries, medicine and gifts like flowers or chocolate, Alsanad said. Customers have the choice of any store in their city. One client even used Mrsool to order gasoline after his car ran out of fuel on the highway. Among other features that have made it a hit at home is cash payment, since the economy still relies heavily on physical riyals. Alsanad said, however, that Mrsool plans to offer digital transfers soon. International expansion is the next step. Alsanad said Mrsool wants to use the money raised in the funding round to grow regionally starting with Bahrain, connected to Saudi Arabia by a causeway.